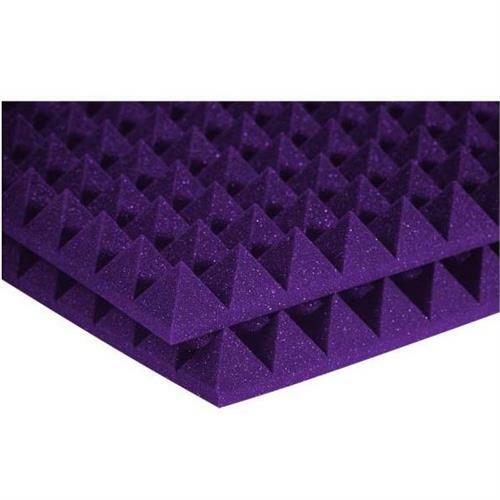 More on the Auralex Acoustics 4 inch Pyramid StudioFoam Sound Absorption Panels 2x2 ft. (Purple Pack of 6) 4PYR22PUR_HP below. 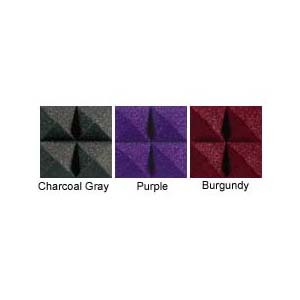 Studiofoam Pyramid is one of the most popular sound-absorption materials on the market. 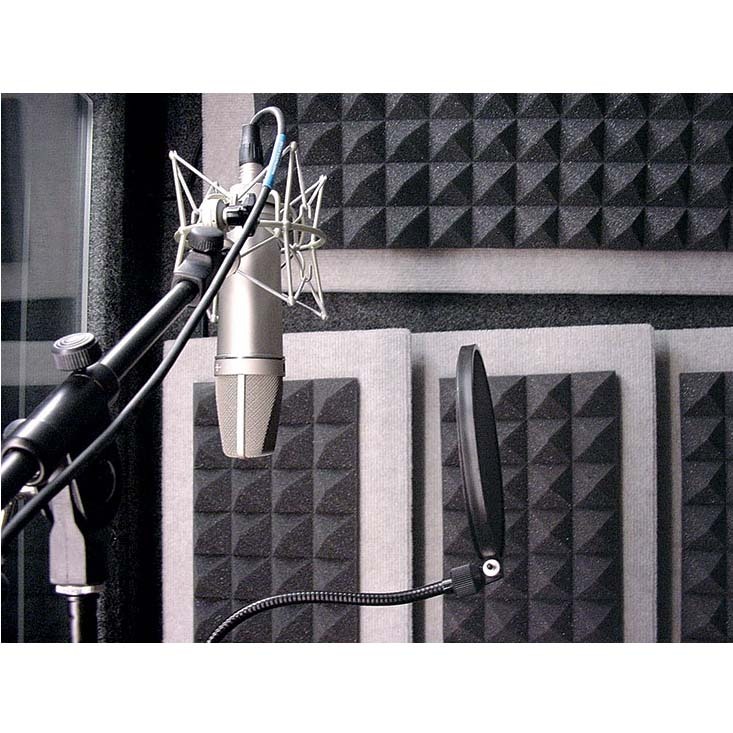 These high-quality acoustic foam panels are perfect to treat small to medium-sized areas including isolation booths, control rooms, and sound studios. 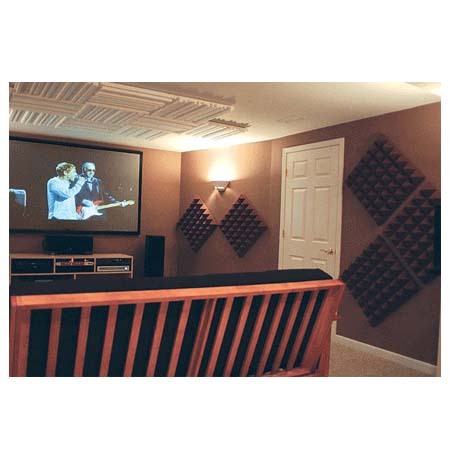 They can effectively tame the full frequency bandwidth in virtually any acoustic environment when used in conjunction with Auralex's LENRD Bass Traps, Venus Bass Traps, or Sunburst Broadband Absorbers. 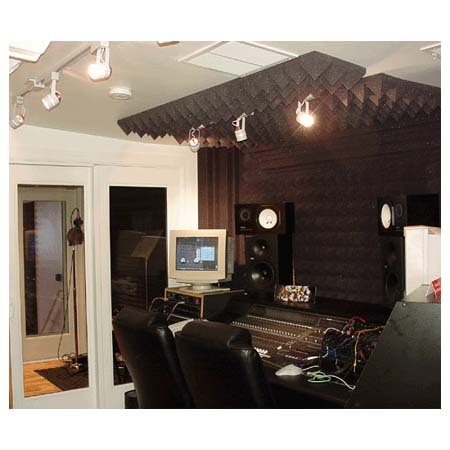 Studiofoam Pyramid panels are specifically designed to alleviate slap and flutter echo, the two most common problems in rooms not specifically designed for music recording or performance. They are a wonderful solution for spaces that demand proper sound control without complete acoustic absorption and small rooms with high SPLs (Sound Pressure Levels). 6 individual panels (measuring 2 ft. x 2 ft. each and 4 inches thick). 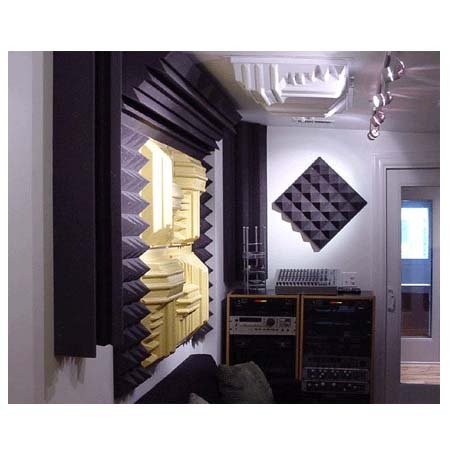 An extra bit of sound diffusion and less sound absorption than 2 inch StudioFoam Wedges, designed to yield a less dry-sounding space with a bit more "air." Studiofoam Pyramid is available in two popular thicknesses, 2 inch and 4 inch, similar to Studiofoam Metro. See related products below for the 2 inch thick panels (2PYR22). Also available in 2 ft. x 4 ft. panels (4PYR24), and in the additional colors Charcoal or Burgundy. See related products below.